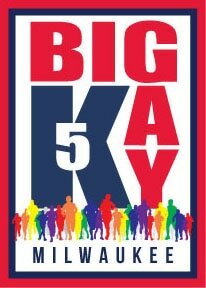 The Big Gay 5K is a major fundraiser of the MGSN, Milwaukee Gay Sports Network (a 501(c)(3) organization). 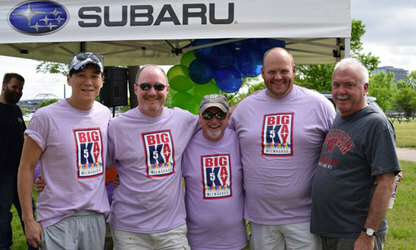 2019 marks our 8th Annual BIG GAY 5K run/walk, which promotes health and wellness within the LGBT community. Last year, we had over 100 participants and generated over $5,000. For the first year we will be officially sanctioned as a USA Track & Field Event so for all runners looking to have your times counted, you are in luck! Racers bibs will be chipped and monitored thanks to our partners ​Absolute Race Timing. For all corporate teams, we are creating a challenge for you. If your company is willing to match your team's total registration fees, we will recognize your donation here on our site under event sponsors. Furthermore, the team with the highest donation and the team with the best team spirit will get a special recognition the day of the event. Schools, families, and friends we didn't forget about you. If you and some friends or family would like to create a team perfect! We thank you for your support and team spririt. Talking about team spirit, the team with the best team spirit will get a special recognition the day of the event. Champion $500: Large logo on back of the Big Gay 5K run/walk T-Shirt. Logo on MGSN website hyperlinked to your website. Your company’s logo on route signs for the run/walk. Leader $250: Medium logo on back of the Big Gay 5K run/walk T-Shirt. Logo on MGSN website. Your company’s logo on route signs for the run/walk.